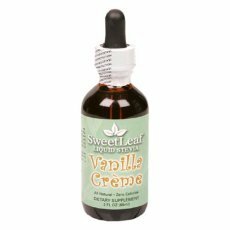 SweetLeaf® is a sweet solution ideal for every age, including people with diabetes, weight watchers and everyone else too! With zero calories, zero carbs and zero glycemic index, it’s the natural alternative. Add just a few drops of flavored SweetLeaf® Liquid Stevia and you can transform the ordinary into an extraordinary flavorful, healthy experience.